We made our own YouTube advert featuring Goodenough College in London's Bloomsbury. Using Director Onsite, UniversityRooms.com made their new advert. Have a watch! Following the success of our new YouTube advert for UniversityRooms which we filmed at the Goodenough College in London, we thought we’d share our thoughts on making it. We hope you enjoy watching it at the end of this too! At UniversityRooms.com we wanted our advert to draw attention to just how stunning many of the colleges are to stay in. We aimed the advert at people who were possibly unaware of the beautiful types of accommodation we offer. 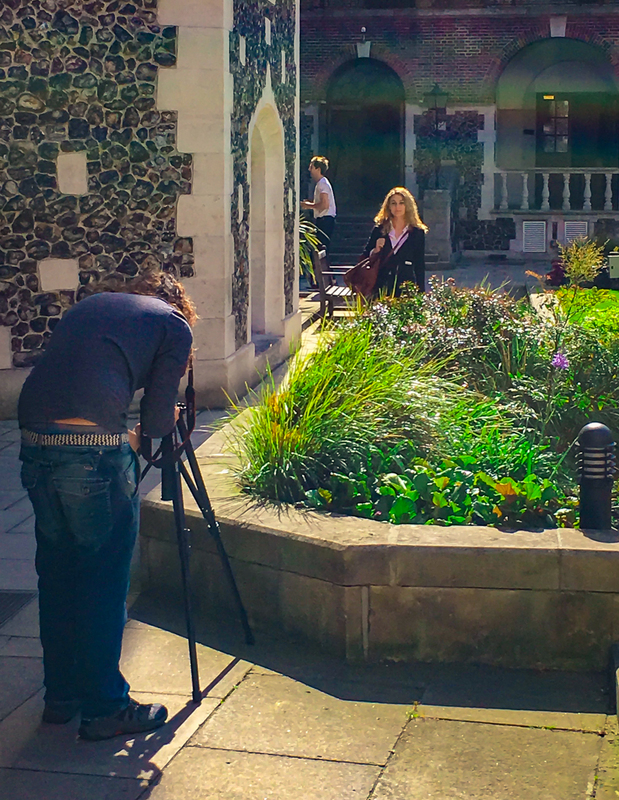 We chose to film at the Goodenough College which is found in the delightfully peaceful and leafy area of city central Bloomsbury, London. The Goodenough College really showcases what UniversityRooms represents - stunning rooms, set in beautiful grounds in city central locations. 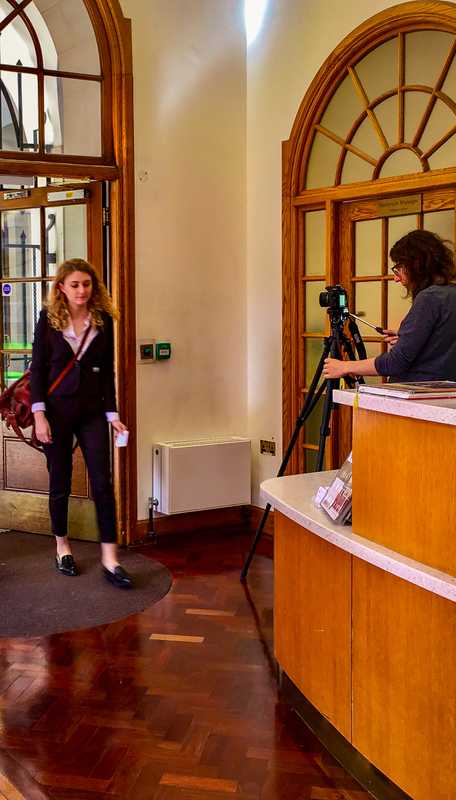 The professional reception area was perfect for filming with its huge, light providing windows, art deco wooden parquet flooring overlooking sculptured grounds. The spacious rooms were ideal too - light, clean, a large double bed, smart desk, accessories and a sparkly new ensuite. Gorgeous accommodation! Remember this advert should last a maximum of 40 seconds. Simply go to the Director Onsite website and follow their instructions! Look at the provided video templates and consider which one most reflects how you wish to convey your company's message. Next, use the template to story board your advert with a rundown of shots and voice over dialogue. The template will give an approximate run-time based on your dialogue length and therefore, you can edit the duration to your liking. Once you’re happy with this, book a time to meet your designated filmmaker and film your ad! If you’re requiring a voice-over artist – look online. 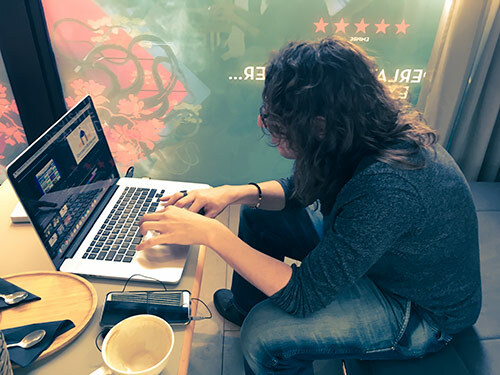 There are plenty of freelance artists which advertise their services here and the YouTube Music Library is a great site to download copywrite-free music. Filming the advert has helped reach our designated target audience, the process is quick and therefore highly cost effective. We would certainly recommend to others who are looking to market themselves to consider making a video. Finally editing our advert before going live! 5. Have a look at our advert and see what you think!